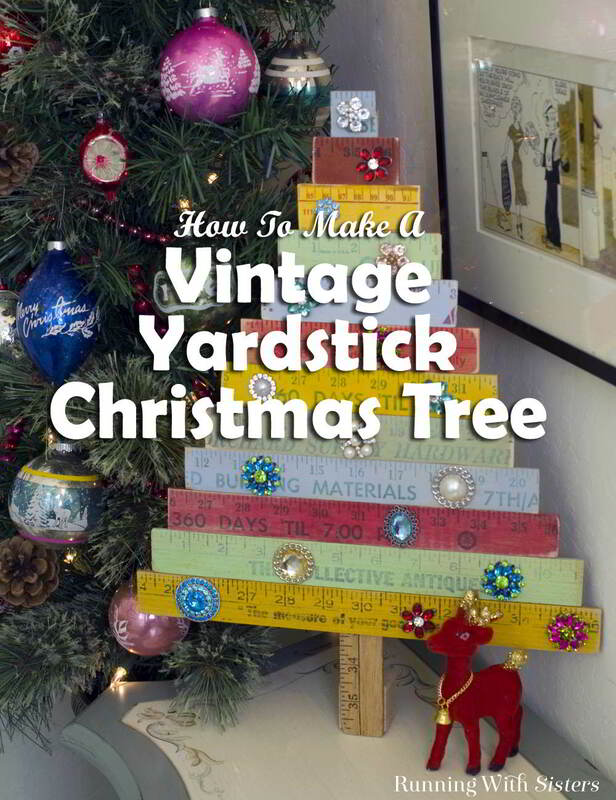 We love primitive style so we couldn’t wait to make our own prim Vintage Yardstick Christmas Tree from old rulers and yardsticks. We simply cut the rulers and yardsticks with a handsaw to make the tree, painted the rulers with chalky colors, then “decorated” the tree with brooches and buttons. Here’s how we did it! 1. 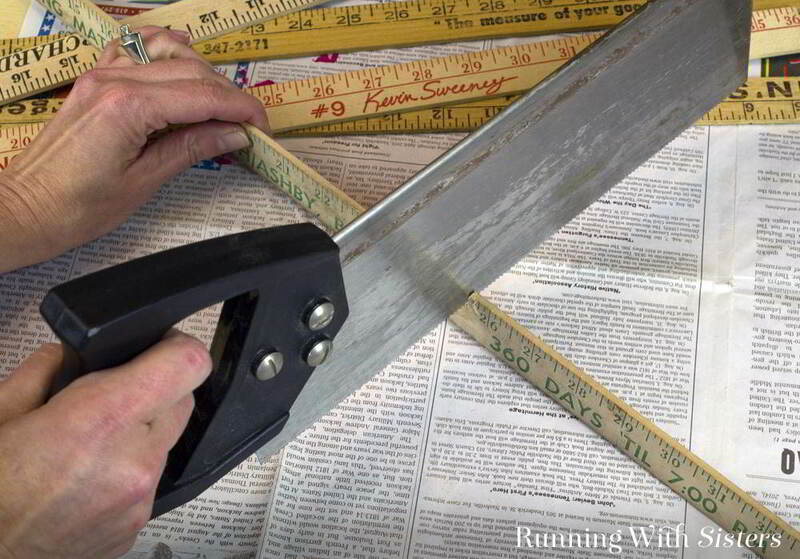 Cut the rulers and yardsticks to these lengths: 1”, 2”, 3”, 4”, 5”, 6”, 7”, 8”, 9”, 10”, 11”, 12”, and 16” using the handsaw. Sand the ends. 2. 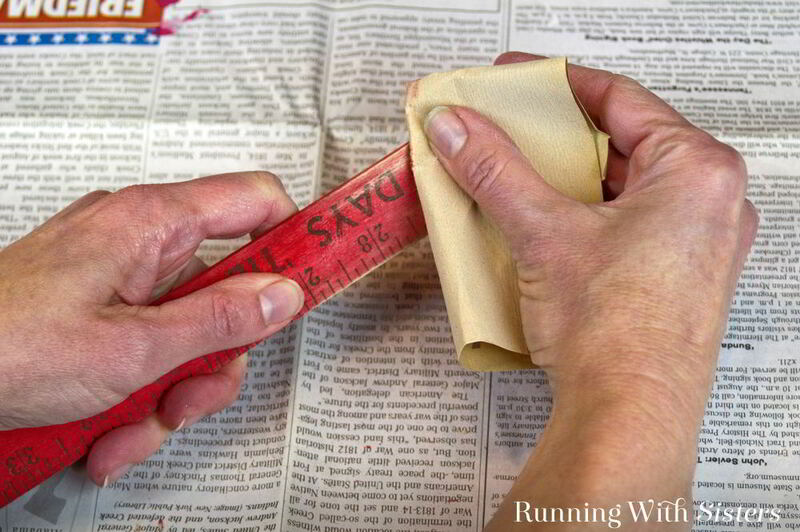 Paint the ruler segments with watered down paint, then wipe the paint off with paper towels so it is more like a wash or a stain. Let the paint dry. 3. Sand the rulers on the edges to make them look weathered. 4. 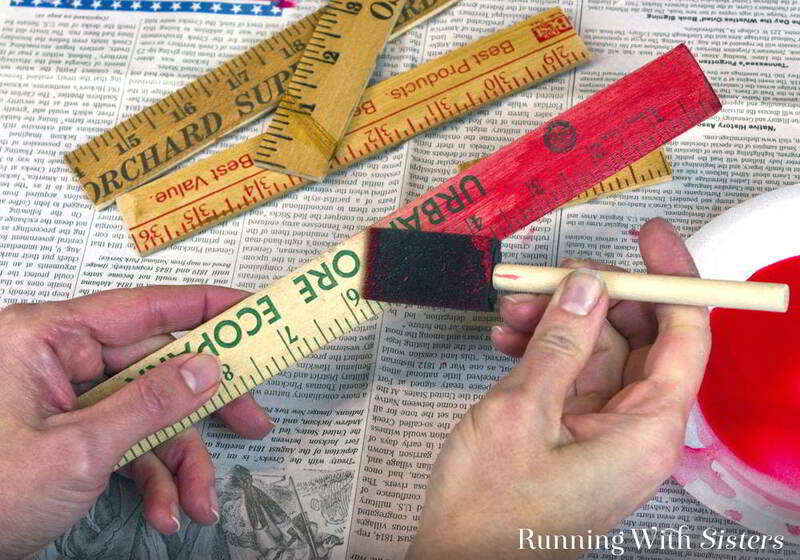 Glue the ruler segments from smallest to largest onto the 16” yardstick segment leaving a “trunk” at the bottom. 5. Remove the backs from the brooches and buttons using wire snips. 6. 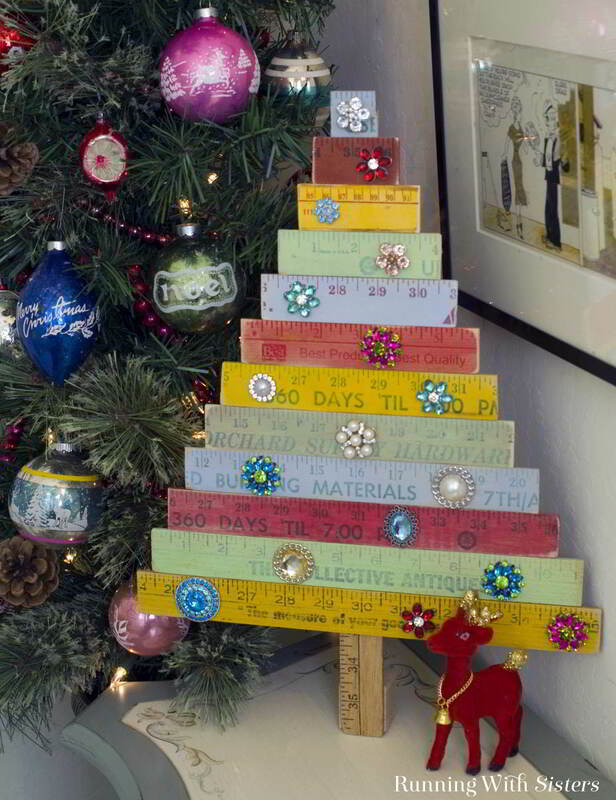 Glue the brooches and buttons onto the Vintage Ruler Christmas Tree. 6. Glue the wooden block to the back of the center yardstick to create a base. We love how our Vintage Yardstick Christmas Tree turned out. You should make one. It’s so cute!! Great ideas Diane! Love the garland addition!